I’ve been most eager to begin this particular chapter, because, as you know (if you read the previous study) this is the portion of scripture (vs. 1-5) that the LORD used to lead me to salvation back in June of 1980. Obviously then, this passage is very dear to my heart. 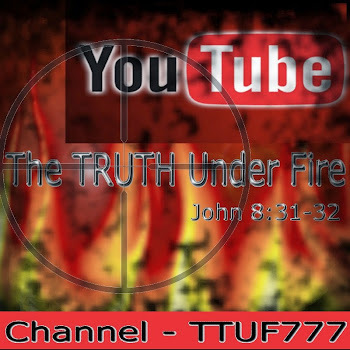 If you have not yet had the opportunity to read my testimony, here is a link provided for you FROM the MIND of FIRE: CAN I GET A WITNESS? Suffice it to say, in my ‘B.C.’ days, I was very much intent on learning what my purpose in life was, and at the same time ‘plagued’ with the question: How a person such as I, could ever possibly be considered righteous before the Holy and Awesome God? What shall we say then* that Abraham our father, as pertaining to the flesh, hath found? * The first of six occurrences of the question, “What shall we say then?” (ROM 6:1; 7:7; 8:31; 9:14,30). This is a rabbinical device, asking a question to solicit an answer from the audience. Even as a Roman Catholic, I understood that Abraham was one of the ‘heavy hitters’ of the Bible, one of the greatest saints and among the strongest in faith. If anyone would make it and be considered by God as justified by his works, it would be Abraham! He was the model, the epitome, the grand example of a righteous man! The question in my mind was, could I follow suit and be saved by the good works I was attempting to do at that time in my life? But this passage seemed to say that he might have had reason to boast (“glory”) before people, but not before God! I couldn’t believe what I was reading! Not even ABRAHAM could be justified before God by his works? Then what hope did I have?? I always felt as a religious person, that if one simply believed that God existed, that this would lend credible weight towards justification. It wasn’t until much later that I was confronted with the truth that Satan and all his evil hosts believe; they KNOW that God exists and tremble, but obviously they aren’t going to heaven! Neither will any human being be granted heaven based on a “belief” in God’s existence. ROMANS 4:3 states that “Abraham believed God” not, “believed IN God” which was obvious; of course he did. However, believing someone means that you trust them, account their words as valid and true, express faith in their personal integrity and their actions. We believe our families, our friends; our close associates because we know them, love them and have a relationship with them and are confident in their integrity and trustworthiness. This was so with Abraham and God; the father of the Hebrew nation is called “the Friend of GOD” in Scripture (2 CHRON 20:7; JAMES 2:23)! Incidentally, something interesting about those whom God refers to as His friends, or His “beloved” – He seems to share secrets with those He loves. It was so with Abraham His friend, “Shall I hide from Abraham that thing which I do?” GEN 18:27. It was so with Daniel the prophet who was called “greatly beloved” by the herald of God, Gabriel in DAN 10:11 (I’ve been told by Hebrew scholars that “greatly beloved” can mean “darling” or in an even more colloquial expression, “a cutie”! Someone tell me that this isn’t hilarious! 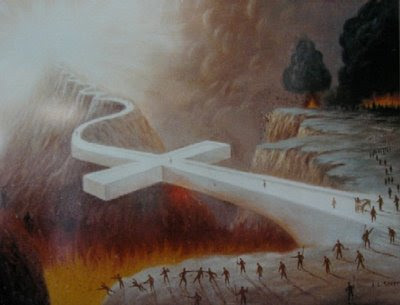 ); and just look at the abundance of revelation that was given to Daniel and such secrets revealed to him by the LORD! In the New Testament we see the same thing with John “the beloved” and the incredible revelation given to him in the book with that very name (although technically, the revelation was given by the Father to the Son; REV 1:1), but Who in turn, then revealed it to the Beloved apostle. Also FROM The MIND Of FIRE, an article that addresses this truth: SECRETS AMONG FRIENDS. I find it enormously humbling therefore (and even thirty one years later (at the time of this writing), when I think on this, it moves me to grateful tears) that on that Friday morning of June 20th, 1980 that the LORD God, Creator of Heaven and Earth, His glorious Majesty and Eternal KING of Heaven would have stooped so low to make Himself known to me, visiting such a sinner as myself in that humble abode in Syracuse, New York and by granting to me the revelation of the truth of His salvation, voluntarily called me to be His friend as well as His adopted son – a child of the KING! Amazing grace! In verse two we read that ‘Abram’ was childless (doesn’t exactly fit with his name, does it?) and was mourning the fact that he had no inheritor, but the LORD emphatically stated that Abram would have a legitimate heir who in turn would be used to raise up an entire nation as Abram’s descendants (GEN 15:4–5), as numerous as the stars in the heavens! Now, get the picture here: Abram is childless and no ‘spring chicken’ at this time, neither was his wife Sarai (they were both in their late nineties)! Yet despite all appearances, conditions and situations, Abram “believed God” and because of this, his faith was counted for righteousness (GEN 15 is a benchmark chapter in the Scriptures for many reasons and we will visit it again in our study in the book of Romans). So what we see here is that apart from works, having faith in and believing God is something that accounts for us, righteousness or ‘right standing’ with God (ROM 3:28) just as it did for Abram. Note these words that the apostle here uses here in Chapter Four: “counted” (used twice in vs. 3 and 5) and “reckoned” (used three times in vs. 4, 9 and 10) as well as another word, “imputed” (used six times in vs. 6, 8, 11, 22, 23 and 24), and in every case it is the same word in the Greek, logizomai, for a total of eleven times in this chapter alone. Paul uses this word in all of his writings a total of thirty five times (out of a total of forty one times in the entire New Testament)! We will get into the meaning of this in just a moment. And this is where I slammed on my mental brakes which brought me to a screeching, blue smoking halt! How in the world could God, Who is Holy, justify the ungodly? I could understand perfectly His justifying the godly, but the ungodly? As well as this, that the faith of the ungodly would be counted for righteousness – The FAITH of the ungodly? I puzzled over this verse, reading it over and over again there in my bedroom thirty one years ago until the LORD God by His Spirit touched my mind with understanding, and then I realized that just as Abram exercised faith in God’s promise, we too can exercise faith in the promise of God regarding the Gospel of Jesus Christ. All of the scriptural pieces of this puzzle started to coalesce and come together to form this glorious picture of the grace of God through our LORD Jesus, the Lamb of God, who takes away the sin of the world! Note here, the phrase is used: “believes on” which intimates “reliance upon, a trust in, dependence on, to place one’s faith in” (not merely a belief of something that is true) the One that justifies the ungodly. These are the essential elements of faith (pistis in the Greek). Now the classic puzzle that many have pondered: the apparent contradiction between what Paul here declares and what James stated in his epistle!
. . . it does sound like a contradiction, doesn’t it? Paul is addressing that aspect of salvation that is referred to as “justification” which is entirely by faith alone, apart from works, just as he made clear in chapters 3 and 4 of Romans; while James is speaking about salvation in respect of “sanctification” that expresses itself by good works manifested in the life of a genuinely saved believer. “A good tree will bear good fruit” (MATT 7:17). Paul stresses that there is nothing we can do to add to the salvation of our souls which Christ already atoned for by the propitiation of His holy blood. Salvation and the justification and righteousness that it grants (or “imputes, counts, reckons”) to the sinner saved by grace, is a matter of the heart but it cannot be observed outwardly. James is saying, “Anyone can say with their lips that they have faith and are saved; what evidence is there that such a claim is true?” It’s as though, to quote the old expression, James “was from Missouri: ‘You gotta show me!’” (See JAMES 2:14–26 to get his point in context). The point is, to make this alleged contradiction disappear, we are saved apart from works by the grace of God in the atonement of Christ Jesus’ finished work on the Cross, and once genuinely saved we can expect to produce good works/fruit. We are not saved by good works, but good works will prove that we are saved. ROMANS 3:22,25,27-28,30-31; also, ROM 4:5,9,11-14,16,19-20; and ROM 5:1-2; and ROM 9:30,32; as well as ROM 10:6,8,17; and ROM 11:20; 12:3,6. Now let’s examine this issue of “reckoning, counting, and imputing”. “To take an inventory, i.e., estimate, think, impute, reckon, count or account, suppose, reason, number, conclude, esteem. It is to reckon – whether by calculation or imputation, e.g., GAL 3:6. To “deliberate and so to account” as in ROM 8:36; “account” as in 1 COR 4:1; HEB 11:19; “to consider” as in JOHN 11:50; “suppose” in 1 PET 5:12. It is used of love in 1 COR 13:5 as not “thinking” of evil. In 2 COR 3:5 it’s used in repudiation of the idea that he and fellow servants of God are so self-sufficient as to “think anything” as from themselves, i.e., as to attribute anything to themselves. In 2 TIM 4:16 it is used of “laying to”, charging a person’s account as a charge against him. Imputation has three steps: 1) the collecting of all charges and remissions (2) the totaling of these debits and credits (3) the placing of the balance or credit on one’s account. It would seem that as a result of believing God, the LORD took inventory and made an estimation of Abram’s faith, and finding it genuine, He imputed to him that which he could not acquire on his own (for no work could earn it): a right standing before God (“righteousness” as in vs. 5) by means of justification by grace. Just as Abram was saved by believing in God’s promise that He would bring to His friend, a son, we also are saved because we likewise have believed God, Who brought forth His Son, the Redeemer of all those that trust in Him. Remember from our study earlier that the three primary parts of salvation are: justification, sanctification and glorification. Justification by faith in the grace of God brings to us the blessing (ROM 4:7-8), honor (PSALM 21:5), and privilege (“power” as in JOHN 1:12) of being delivered from the penalty of sin, that is eternal damnation and affords us passage into God’s glorious kingdom! As it’s been said many times by many pastors and Bible scholars: the Christian who is once justified by faith stands entirely righteous before the LORD from the first moment of conversion and remains equitably so with no decreasing or increasing well into eternity within the domain of heaven. In regards to our justification, “It is finished” and we cannot add to it whatsoever; to even attempt to do so would be blasphemy for that would presume any work we could do, would embellish or improve upon or even merely add to the glorious, omnipotent, atoning work of the Cross of Christ: an obvious and grievous error! It would be like someone handing you the keys to a fifty room mansion as a gift, fully furnished and exotic in its accommodations, resting on a 120 acre lot, and then you say, “Let me pay you for this” and hand them a five dollar bill! No, actually it would be far, far worse an insult to a Holy God who sacrificed His Beloved Son for our sins, and then we in our audacity would think to add to this priceless salvation by offering Him our own deplorably weak and paltry efforts of self-righteousness! Chronologically speaking, Abraham came to faith a few centuries before the Law was given by Moses; David however came to faith while under the Mosaic Law – was he then saved by a different method or approach than was Abraham? Not at all; the above quotes that Paul here makes is from PSALM 32, a ‘Pauline Psalm’ as Martin Luther called it, as it perfectly demonstrates the very same truths as Paul the apostle is expounding on here in Romans, justification by faith alone! You will see in this Psalm the same linearity that Paul outlines: faith in God (vs. 5,7 and 10), justification resulting from salvation (vs. 1–2), an outward working of that justification in the way of righteousness (vs. 8, 11). Also note the word “imputeth” in vs. 2; in the Greek language version of the Tanakh (O.T. scriptures) called the Septuagint, the word used is once again, logizomai; this word is also used in PSALM 51:1,9 “blot out” and ISAIAH 43:24-26 “blotteth out”. 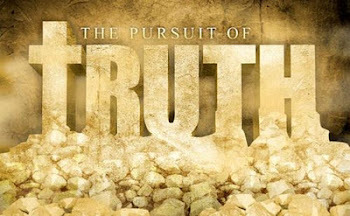 In these passages justification is seen and in addition, righteousness in PSALM 51 is evident as a result of this imputation or “blot[teth] out” (PSALM 51:2,7,10; ISAIAH 43:25) for justification; PSALM 51:13,19 for righteousness). As we have seen previously in Chapter Two and Three, the Jew would make their boast regarding their lineage to Abraham as the progenitor of the Jewish race, and thereby by this association believe themselves to be inherently justified, because they practiced circumcision just as Abraham did. This sign of circumcision was a seal (sphragis in the Greek): “an emblem of ownership and security, combined with the idea of destination, secured from destruction and marked for reward; in the case of circumcision, it is an authentication of the righteousness of Abraham’s faith and an external attestation of the covenant made with him by God”. Paul understood that this seal was applied only after Abraham demonstrated faith – so technically he wasn’t Jewish when God declared him righteous. Thus Abraham becomes not only the physical father of the Jewish people but also the spiritual father of all Jews that express the same kind of faith as he. (Note: the revelation given by God to Israel through the Law and the Prophets did not replace faith, but underscored the holiness of God, the sinfulness of mankind and testified of the prophetic plan of the ages regarding salvation and our desperate need for it. Also the prophetic aspect of the Law revealed the Messiah and Israel through various models as represented in the Tabernacle/Temple, the different sacrifices, the seven feasts, priestly duties and garb, etc.). Abraham is also “the father of them all that believe” which of course would include Gentiles who express faith towards God just as he did when he himself was Gentile, from the land of Ur of the Chaldees. Abraham, who believed God (for a son He would give him, and a land for his son to inherit), and by faith was justified, had his faith tested by the LORD in GENESIS 22, for it was here that God required that Abraham sacrifice his son, Isaac, who was to be made heir according to the LORD’s promise. Note that God declares that He will multiply Abraham’s “seed” (plural form here in vs. 17) as “the stars of the heaven” and also as “the sand which is upon the sea shore”. Here we see in type the two kinds of people that will inherit the same blessings as Abraham by the same kind of faith: the church and Israel. The church is promised no such earthly kingdom, but a heavenly one: “the stars of the heaven,” whereas Israel has been promised a domain on the Earth: “the sand on the seashore,” that will be realized when once Messiah arrives and establishes His reign in the land of Israel. Both groups can claim Abraham as their father, both groups are justified by faith in the Word of God (for Israel in the context of the Second Coming, but also in every preceding generation [up to the establishment of the church, whereupon believing Jews then became members of the body of Christ; GAL 3:26-29] where God has always had a remnant of the children of Abraham that understood and believed God’s promises concerning Messiah; ROM 11:4-5), both groups have a destiny (as outlined in ACTS 15:13-18, and Israel’s destiny is elaborated upon in this book of Romans, chapters 9-11); both groups are mutually distinctive from each other. The church is not “spiritual Israel” even though we are “grafted in” as a “wild olive branch” to the olive tree that is Israel, that grafting is according to believing and saving faith in God’s Word (ROM 11:16-26), and does not make us one with Israel, but ‘siblings’ in a spiritual sense with spiritual Israel in that we are both children of Abraham through the “seed” of Abraham (singular form here in ROM 4:18; this is Christ Jesus Who is also “the seed of the woman” GEN 3:15). There are groups of people today who say that if Christians want to be obedient in all things to the LORD and therefore pleasing to Him, then they are obligated to keep the Law and acknowledge the feasts by celebrating them. Yet the Word states clearly that “without faith it’s impossible to please” God (HEB 11:6; and it doesn’t state anywhere else that faith plus the law is required, faith plus celebrating the feasts is required). Here in these verses above in Romans, it states that “faith is made void”, and the “promise made of none effect” and if heirs are “of the law” this can only work the wrath of God. Where ever the Law is present, there is transgression, and where there is transgression there is by necessity, the wrath of the Holy God Who must judge such without exception. Abraham’s very life is a testimony of faith, apart from the Law of Moses that didn’t even become revealed until some centuries later. So salvation is provided for all, Gentiles and Jews: those outside of the Law and those that have been given the Law and Oracles of God (ROM 3:2): both are required to express faith in God and His grace through Jesus Christ, and thereby are accounted as children of Abraham as he is the “father of us all.” See – ACTS 15:11; ROM 2:4; 3:24; 5:15; 11:6; EPH 1:7; 2:7; 1 TIM 1:14; TITUS 2:11; 3:7. G.RA.C.E. God’s (Riches of) Righteousness Attributed at Christ’s Expense. The LORD is constantly challenging us in making a choice to believe that which we perceive with our senses or believe what He has declared in His Word. For centuries Israel was non-existent as a nation, with no apparent hope of ever returning and yet there were those pastors and Bible scholars who, despite these appearances clung tenaciously to the Word of God. Despite the laughter and ridicule by skeptics, they insisted that the LORD would be bringing the Jewish people back into the land, prosper them, and make them into a great nation to which the Messiah would come and reign over as her King, just as the prophetic Scriptures indicated. Even though there are those that deny Israel’s legitimacy in having a Divine purpose both now and in the near future (and we at TTUF are NOT among this group! ), Israel is nonetheless back in the land, just as God’s Word declared and He will accomplish His purposes with her, and keep His covenants with them! Abraham likewise believed God, despite his age (and that of his wife), despite the circumstances and obstacles; he accepted by faith the promise of God that he would not only have a son, but that his offspring through the “promised seed” would be as the stars of heaven and the sand of the seashore! Such a hefty, weighty promise of tremendous volume, and yet Abraham didn’t “stagger” under the formidable weight of it! His faith in God’s Word, in He Who is Truth, was not weak but strong – and he was fully “persuaded” (an interesting word in the Greek that intimates to be entirely sure of something to the point that it affects the mind, and ergo one’s belief; see ROM 8:38-39; 2 TIM 1:12; HEB 11:13) that the One Who “promised” had the ability to “perform” (to bring forth fruit, to make, to work)! We as saints can look into the Word of God and review the countless promises of God to those His children who are walking with Him, and believe God for them. Contrary to popular dogma, faith is not a power that we as Christians can use indiscriminately according to our own ‘spoken word’ or wishes; rather it is an implicit understanding, acknowledgment and trust in GOD’s WORD. The notion that you “just have to have faith” is wrong; faith is a means to accessing the work of God: understanding His Word, appropriating His grace and salvation, pleasing the LORD by believing and obeying Him. Faith (or trust) in itself is useless as it must have an object to focus on, and to be effective that object must be able to accomplish and be trustworthy of the faith invested in it. If my house was on fire, and I picked up my phone to call the Fire Department for help, I would exhibit trust that they would come with all their vehicles and equipment and save me. Once done, I would not extol the power of my phone, and give thanks to it; it was merely an instrument by which I acquired the means to find help. I would rightly thank the Fire Fighters that risked their lives in confronting a deadly fire and saved my own life. Had the LORD Jesus only died on the Cross, but didn’t rise from the dead, our salvation would not have been secured, as His resurrection is necessary in order to defeat death of the extraordinary kind: the second death by which our sins have separated us from our Creator God, the Author of all Life and in which state the damned will be everlastingly condemned in Gehenna. Knowing that He has been raised from the dead, sin and death have been defeated, hell avoided, and righteousness imputed to us along with clean hearts acceptable as habitations of the Holy Spirit, granting us eternal life! Abraham is discussed in the Epistle to the Hebrews as well (whose author I believe to be Paul), and in that passage, the writer expounds on his faith regarding the sacrifice of Isaac: HEB 11:8-12,17–19. It’s interesting to me that the two high points of the faith of Abraham involved the promise of the coming son and then in his being raised from the dead; here we see a perfect parallel to the Christian who expresses faith in the Son of God Who is also the Son of man, Who came to this world to declare the Gospel and fulfill this new covenant (HEB 9:14-16) in us (Gentiles for now, for the Jews later when He arrives the second time), and Who was raised from the dead for our justification. May we indeed express “like faith” as Abraham as true children in his enormous family, and share the blessing of “the seed of Abraham” Jesus Christ with those that do not yet know Him as LORD and Savior! This concludes Chapter Four of Romans, but not the treatment of the doctrine of justification as explained here by Paul the apostle. He continues in this doctrine through out chapter Five and upon its conclusion, he then addresses that aspect of salvation that deals with sanctification. Just as justification brings victory over the penalty of sin (death and hell), so likewise sanctification brings to us who are the church, victory over the power of sin (such power would spell utter defeat in our walks with the LORD if not dealt with) and this doctrine is addressed in Chapters Six through Eight! May the LORD continue to bless and edify you in His Word by His Spirit!